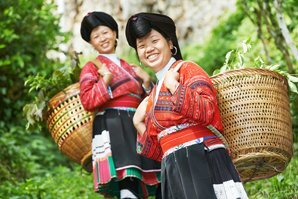 With a vast territory and a long history, China offers so much to see and explore. 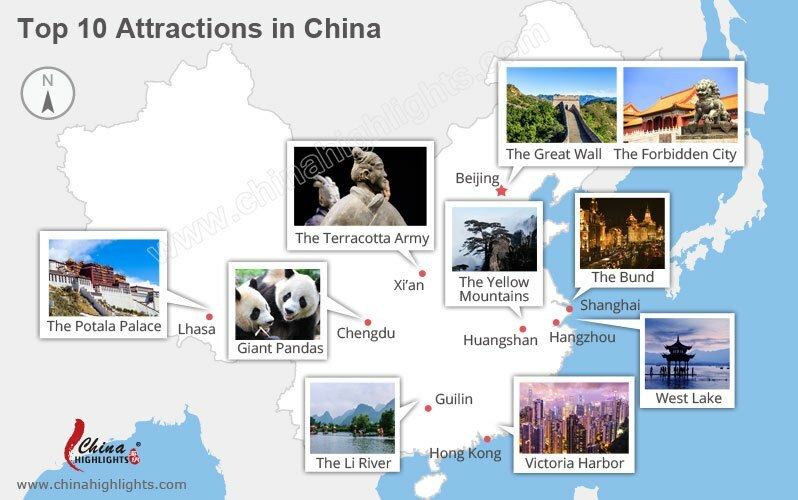 We have listed for you the top 10 must-visit attractions in China. In the eyes of most travelers, you haven&apos;t been to China if you haven&apos;t climbed the Great Wall. One of the iconic symbols of China, the Great Wall is the longest wall in the world, an awe-inspiring feat of ancient defensive architecture. Its winding path over rugged country and steep mountains takes in some great scenery. It deserves its place among "the New Seven Wonders of the World" and the UNESCO World Heritage Sites in China. The wall spans from China&apos;s western frontier to the east coast, totaling around 5,000 km (3,100 miles), but the most integrated and best preserved sections are close to Beijing. So this is what people usually mean when mentioning the Great Wall of China. Which Sections of the Great Wall Should I Visit? The Terracotta Army has laid underground for more than 2,000 years. However, in 1974, farmers digging a well uncovered one of the greatest archaeological sites in the world. In 1987 it became World Cultural Heritage. It is significant because the hundreds of detailed life-size models represent the army that triumphed over all other Chinese armies in the Warring States Period (475–221 BC), and who were the decisive factor in forming a united China. It raises interesting questions about why it was made, which await your consideration when you come face-to-face with soldiers of the past. 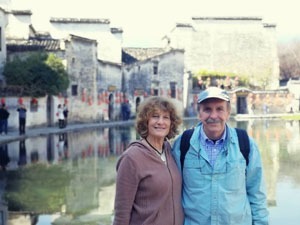 1-Day Xi&apos;an Highlights Private Tour Visit the Terracotta Warriors, cycle on the best-preserved Ancient City Wall, and enjoy the rich flavor of life in the Muslim Quarter with a stroll there. It was once a "palace city" where ordinary people were forbidden entry. An extravagant demonstration of ancient Chinese architecture, over 8,000 rooms with golden roofs are elegantly designed and painted in red and yellow. The Forbidden City was the imperial palace of the Ming and Qing Dynasties for 560 years till 1911. 24 emperors lived there. World Cultural Heritage, and now known as ‘the Palace Museum&apos; among Chinese, it is a treasure house of Chinese cultural and historical relics. The Bund is one of the most recognizable architectural symbols of Shanghai. It showcases the world with its colonial European buildings and skyscrapers the other side of the Huangpu, housing one of the world&apos;s foremost business districts. The Bund was Shanghai&apos;s most prosperous area in late 19th century and early 20th century. When the first British company opened an office at the Bund in 1846, it became the epitome of elegance. 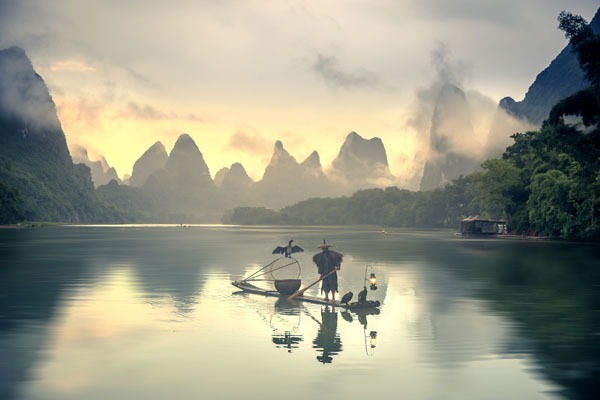 The karst landscape along the Li River has captured the heart of artists. Generations of Chinese painters and poets have been inspired by the beauty of nature there, using their pens and brushes to capture the breath-taking natural scenery. Nowadays it&apos;s a popular photography destination. When Chinese travelers seek a place for natural beauty, they first think of Li River and Yangshuo. The 83-kilometer-long section of the Li River between Guilin and Yangshuo is the most beautiful. The river landscape is decorated with startling hills, steep cliffs, and farming villages, and is lined with bamboo groves. The Li River was listed as one of the "World&apos;s Top Ten Watery Wonders” by America&apos;s National Geographic Magazine. Several world famous figures have visited the Li River, including former US Presidents Bill Clinton and George Bush (senior), and Bill Gates. 6. Giant Pandas in Chengdu — China’s "National Treasure"
The giant panda is not only deeply loved by the Chinese, but by many foreigners too, and not just children. Although there are many zoos in China and elsewhere, where you can see a giant panda, the best place to see them is Chengdu — the giant panda&apos;s "hometown". There are three places you can see pandas close up: Chengdu Panda Breeding and Research Center, Dujiangyan Panda Valley, and Bifengxia Panda Base. Chengdu Panda Center is in the north of the city, and is more established. Bifengxia Panda Base is 2 hours from Chengdu, has more pandas, and you can see pandas more in their natural habitat. You can get even closer to the pandas by taking a volunteer program in Bifengxia or Dujiangyan Panda Valley, an hour outside Chengdu. See our panda tours for inspiration. 1-Day Dujiangyan Panda Keeper Tour Get close to lovely pandas by making a cake to feed them, and helping to clean their enclosures. In east China, close to Shanghai and Hangzhou, the Yellow Mountain Scenic Area woos travelers with its five wonders: sun rises, seas of clouds, oddly-shaped rocks, twisted pine trees, and hot springs. The Yellow Mountains are the most famous peaks in China, and one of China&apos;s three best national parks — the other two being Zhangjiajie National Forest Park and Jiuzhaigou National Forest Park. Compared to the two other national parks, Yellow Mountain National Park is easier to access, and, naturally, more popular and busy. Jiuzhaigou in west China&apos;s Sichuan Province is famous for its multicolored lakes and fall foliage; Zhangjiajie National Forest Park is well-known for its grotesque rock pillars. If you are looking for world-class scenery, consider going to all of them. The Potala Palace is a symbol of Tibet. In 1994 it was declared a UNESCO World Cultural Heritage Site. It is a huge treasure house of materials and articles from Tibetan history, religion, culture and art. The palace is widely known for the precious sculptures, murals, scriptures, Buddhist statues, antiques, and religious jewelry housed within. The view over Victoria Harbour from Victoria Peak is to Hong Kong as climbing the Great Wall is to China; it offers the iconic outlook over Hong Kong&apos;s "high rise" to success and prosperity. Victoria Peak is the best spot to have a bird&apos;s eye view of Hong Kong. Viewed from the peak, both day and night scenes are worth taking in. See high-rise buildings round the busy Victoria Harbour stretching out towards Mainland China. At night the scenery is gorgeous, when the Symphony of Lights of various buildings dances in unison. 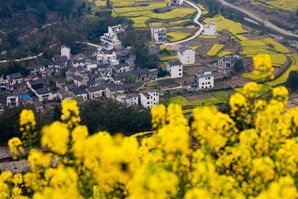 Hangzhou is renowned as China&apos;s "paradise on earth" owing to its beautifully crafted landscape. West Lake was created after the Chinese love for garden-style parks for recreation. West Lake is a place of tranquility where urbanity becomes a silhouette on the northeast horizon and mountains near and far surround it on the other three sides. The occasional pagoda and Chinese-style arched bridge add atmosphere to the tree-lined walkways, verdant islands, and hills. To admire the beauty of West Lake, visitors can leisurely bike around the lake, walk around the lake, or take a short cruise on the lake. 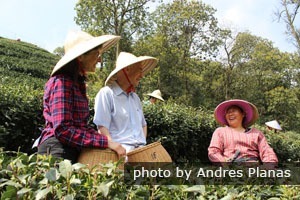 Beyond the most-visited attractions, we can lead you to visit less crowded and sightworthy places, like a tea plantation in Hangzhou. Especially for the most-visited attractions, travelling with a local expert is helpful to avoid crowds and have an informative and enjoyable trip. If you can&apos;t decide where to go or how to, don&apos;t hesitate to contact our specialists, who will help you to maximize your travel experience by suggesting the optimal trip for the time you have and the places you want to see. 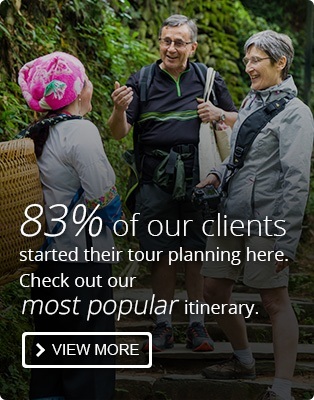 Here are some sample tours for your inspiration. They can be tailor-made down to the finest detail to suit your interests. Find more ideas from our China tours for 2019.